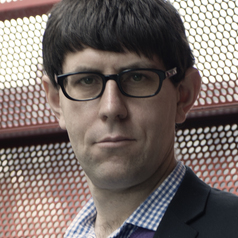 Jago Dodson was appointed Professor of Urban Policy at RMIT in 2014. He previously worked at Griffith University during 2004-2014 as a Research Fellow and from 2011-2014 as Director of Griffith’s Urban Research Program. Jago’s doctoral studies addressed problems in housing policy reform in Australia and New Zealand. During his early post-doctoral enquiries he developed new insights into transport disadvantage in Australian cities and addressed problems of transport and metropolitan governance, and economic development. Subsequent investigations developed new insights into the problem of ‘oil vulnerability’ in Australian cities, particularly household socio-economic stresses from rising housing and transport fuel costs, and a new method – ‘the VAMPIRE index’ - to assess this phenomenon. He has also provided summary reviews on housing and social theory and on planning and human geography, to key reference texts. Later work studied questions of urban socio-technical practices within suburbia and the challenges of managing compact urbanisation and housing markets, as well as problems of urban governance and infrastructure planning. Recent research has assessed the role of the private development sector in climate change adaptation; the national broadband network and metropolitan planning; private motor vehicle fuel efficiency; and national level urban policy making in Australia, among other topics. His most recent book is Australian Environmental Planning (2014) co-edited with colleagues Jason Byrne and Neil Sipe. Jago's research record includes more than 70 publications. He has contributed extensively to scholarly, policy and public debates on urban problems in Australia and internationally. Jago currently supervises 6 PhD students and welcomes enquiries from prospective PhD scholars on topics relevant to his expertise. Jago teaches Economics for Spatial Decision Making in the RMIT Sustainability and Urban Planning Postgraduate program. He has also provided research-based consulting advice to a range of urban agencies and has been a regular commentator on urban issues in the media.